Bring the beach to your backyard with the Malibu Bounce 'N Slide! The kids will enjoy this Wet and Dry combo unit all summer long. 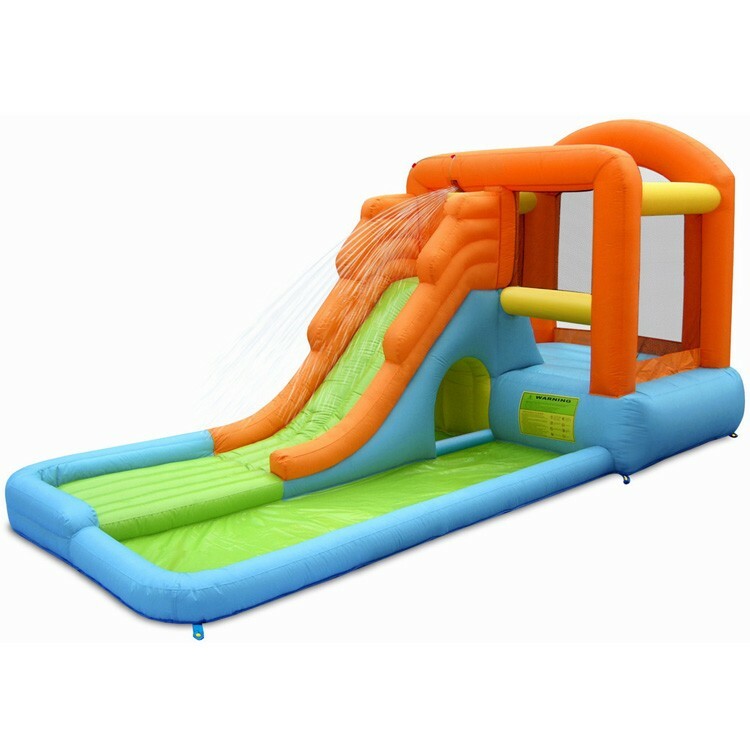 Not only is this combo unit a bounce house and water slide, it also has a tunnel and climbing wall! This is the perfect unit if you cannot decide what type of unit your children will enjoy. It's a perfect way to have family fun time while your kids enjoy this versatile bounce house and water slide combo all summer long! Weight Limit: up to 300 lbs.